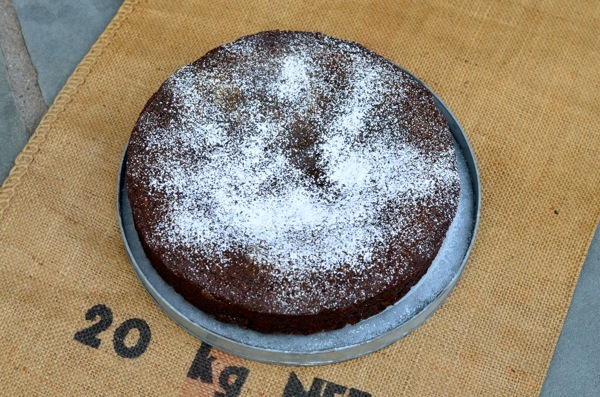 The taste and aroma of the holiday season is delivered with this easy and delicious spice cake, perfect to add to any menu during the holiday season! 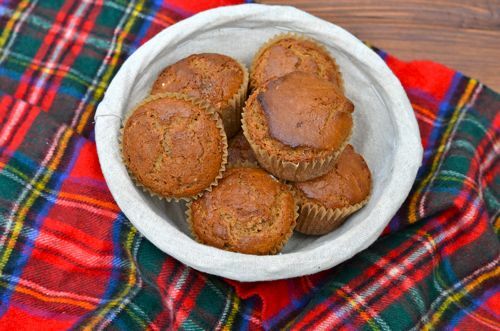 It’s moist from buttermilk and the taste of gingerbread. From by the bay wishing you ginger filled holiday food memories! Preheat the oven to 350ºF. Coat a 9-inch round cake pan with nonstick cooking spray. Cut a circle of parchment paper to fit the pan bottom and place it inside; then spray the paper. Set aside. Sift the dry ingredients into a large bowl. 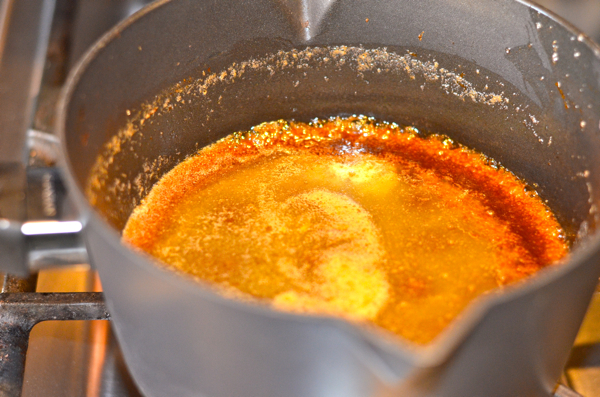 In the bowl of an electric mixer, beat the egg, molasses, sugar, and melted butter until thick. Gradually mix in the dry ingredients in 3 batches, alternating with the buttermilk. Beat for 1 minute after each addition to incorporate the ingredients and strengthen the cake’s structure. Mix until the batter is smooth. Pour the batter into the prepared cake pan and smooth down the top of the batter until even. Bake for 35 to 40 minutes or until a wooden toothpick inserted into the middle of the cake comes out clean. Allow the cake to cool completely before removing it from the pan, and then slice it in wedges. Dust with confectioners’ sugar and serve with whipped cream. This entry was posted in cakes, desserts and tagged buttermild recipes, buttermilk cake, Christmas foods, Christmas recipes, ginger recipes, Ginger Spice Cake, molasses, spice recipes, Tyler Florence on December 17, 2015 by entertainingbythebay. This delicious cookie is one of those special family recipes shared and enjoyed from generation to generation. 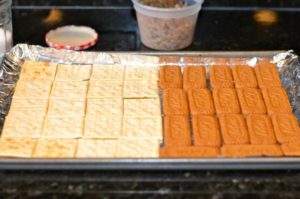 I remember my grandmother making this cookie and keeping it in her special tin, bought out whenever someone would visit for coffee. 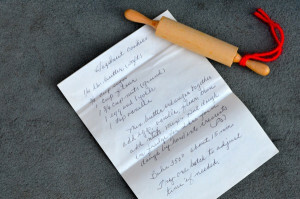 I couldn’t find the recipe and then not too long ago I was able to spend some time with my Tante Hetty, who was kind enough to send me the recipe. So happy to share with you to enjoy this holiday season! 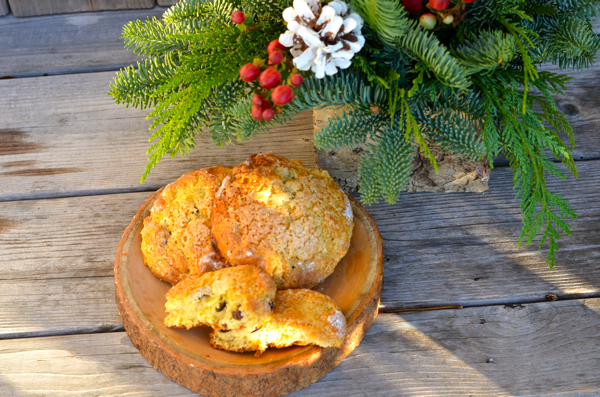 From by the bay, wishing you soft and buttery cookie food memories! Use an electric mixer to beat butter until fluffy. Add sugar and beat well until combined , add eggs one at a time , then vanilla. Gradually add flour and nuts and combine well. Put dough in the refrigerator for 2 hours. Preheat oven to 350 degrees F. Set aside to silpat lined baking sheets. 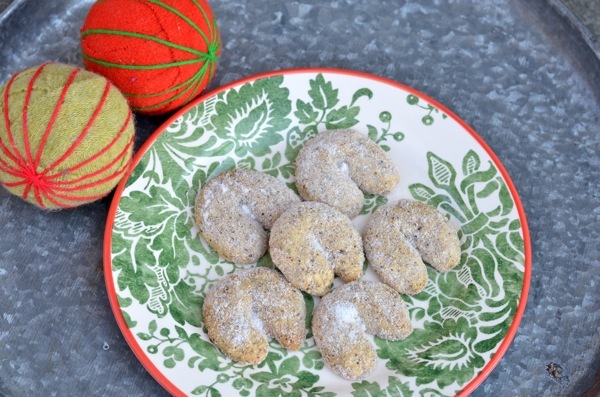 Remove dough from fridge and shape into small half moon crescent shapes. Place back in the refrigerator another 10 minutes. Place in oven and bake for 15 minutes, until slightly golden on bottom. While hot toss gently with granulated sugar and cool. Store in an airtight container until ready to use. Will last for about 5 days. 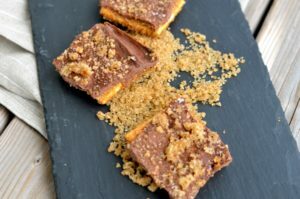 This entry was posted in cookies, desserts and tagged butter cookies, christams cookie recipes, Christmas foods, Christmas recipes, Hazelnut Cookies, hazelnut recipes on December 10, 2015 by entertainingbythebay. When Neil Diamond released his Cherry Cherry Christmas song, I embraced that message with my cooking. I enhanced a recipe I had kept over the years from Bon Appetit Magazine. The recipe is for a dense Chocolate cake topped with a rich chocolate ganache, which I often included during my holiday entertaining. This cake, though really became special for that Cherry Cherry Christmas, by amping up the cherry flavors by using dried cherries and kirsch along with a little excessive decorating over the chocolate ganache. I think the desserts served at the end of your Christmas meal , should look spectacular and feel like magic. I have an arsenal of edible decorations I collect during the year to give that magic factor to my desserts. One of my favorites is edible glitter in multi colors. It’s so much fun to sprinkle this on top of your desserts. 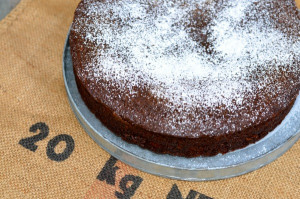 Why not try this terrific cake and create your own dessert magic this Christmas! From by the bay ………….. This recipe is adapted from a recipe by Rich Rodgers , originally printed in Bon Appetit Magazine Dec 2003. Place cream in medium saucepan and bring to a simmer. Remove from heat and add chocolate. Whisk until chocolate is melted and smooth. Add Kirsch and whisk again until smooth. Allow glaze to cool and thicken for about two hours in saucepan stirring occasionally. At this point the glaze should be thick yet pourable. While glaze is thickening, turn cake out onto the wire rack and remove the bottom of the spring form pan as well as the parchment paper. Place cake with rack into a baking sheet lined with aluminum foil. When glaze is ready, pour half of the glaze onto the cake and use a spatula to smooth over the top and the sides of the cake. Place into the freezer to set for about ten minutes. Remove from freezer and pour the remaining glaze over the cake and smooth evenly again with the spatula. Place again in the freezer for another 15 minutes . 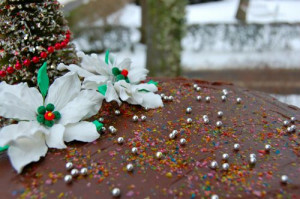 Remove from freezer and decorate with edible sugar and sugar flowers. Keep in the refrigerator until 1 hour before serving. Cut into wedges and serve. 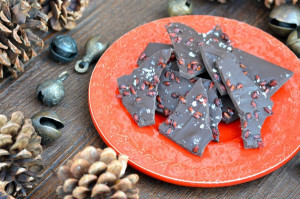 This entry was posted in cakes, desserts and tagged baking, Cherry Cherry Christmas, chocolate cake recipes, chocolate ganache recipes, chocolate recipes, Christmas recipes, Neil Diamond on May 24, 2014 by entertainingbythebay. I started entertaining over the Christmas holidays, when I moved into my first apartment. I had moved from my parents home on Long Island and into a small apartment in Queens. That first year, I had a small Christmas party so that my parents could come and pick up all the Christmas presents and drive them back to Long Island so I didn’t have to carry them home on the train. So I started in a very small way something that has become an elaborate tradition. I was not a very accomplished cook and I didn’t have alot of extra cash, so the menu was simple and economic – baked ham,deviled eggs, mimosas and cookies. It was an easy brunch and everyone had a great time and I’ve been entertaining for the holidays ever since. I still like to make a baked ham, it’s easy , delicious and looks like alot more effort than it really is. 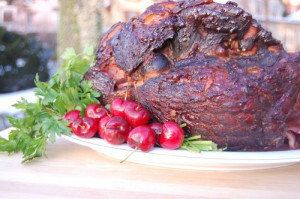 This cranberry glazed ham is one of my favorites – whether it’s for Christmas Day, Christmas Eve or any other Holiday meal you have a lot of guests to feed. It’s great for get togethers with children accompanied with macaroni and cheese or for adults served with cornbread and cranberries, like the recipe below. I find that most guests are excited to see a festive holiday baked ham on the table. 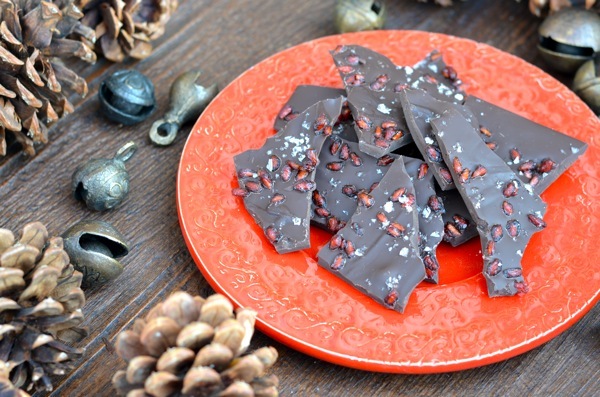 Start your own holiday traditions using this recipe, it’s a perfect one to prepare! From by the bay wishing you the berriest Christmas memories! Preheat over to 350F. Place ham in an aluminum foil lined baking pan. In a bowl combine remaining ingredients and whisk together, Brush on to the ham and between the slices. Bake for one hour, until the ham is fully heated. Serve warm or at room temperature. This entry was posted in main dish, pork and tagged baked ham recipes, Christmas recipes, cranberry recipes, family dinners, holiday entertaining recipes, holiday recipes on May 24, 2014 by entertainingbythebay. I know that cranberry sauce is a Thanksgiving staple , but I love serving it through out the holiday season. 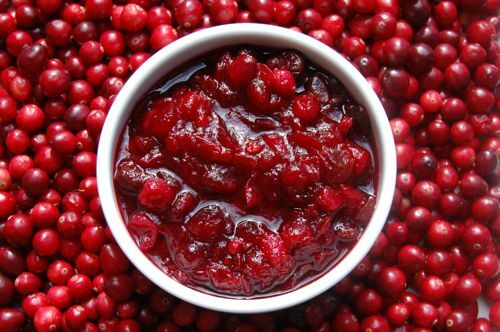 I grew up eating canned cranberry sauce. In fact my Uncle Tom, owned a canning factory in Egg Harbor, New Jersey. This was the family’s source for most of our cranberry needs. We had cases of cranberry sauce and loved it! 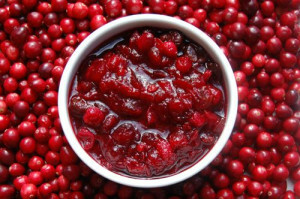 When my Uncle Tom decided to close his plant and move onto other ventures we were ready to buy our sauce at the supermarket, but instead my Uncle Tom brought to the house some fresh cranberries and taught me how to make my own cranberry sauce. It tasted terrific and was so easy to make! 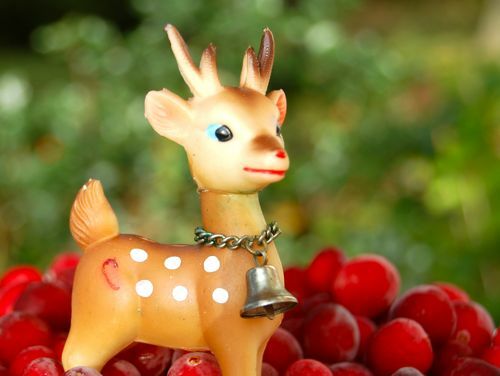 There was no going back and I’ve been making some version of his cranberry sauce ever since! This is a favorite of mine for Christmas celebrations, I love the mix of all the berries , as well as that little kick of kirsch. The kirsch, reminds me of Christmases when I was a little girl watching my grandfather pour a shots of this wonderful cherry smelling liquid to celebrate with his friends and family! The sauce is the perfect compliment to all your holiday foods – smoked ham, pork loin, turkey or even beef! You are guaranteed to create some happy food memories with this very berry sauce! From By the Bay wishing you the berriest food memories! Combine cranberry juice, brandy and sugar in a medium sauce pan. Bring to a boil, stirring to dissolve sugar. Add cranberries, dried cranberries, dried cherries and allspice. Return to a boil, reduce heat and simmer approximately 10 minutes until the cranberries start to burst. Remove from heat. Cool completely and then chill in refrigerator. Cranberry sauce will thicken. Serve chilled. 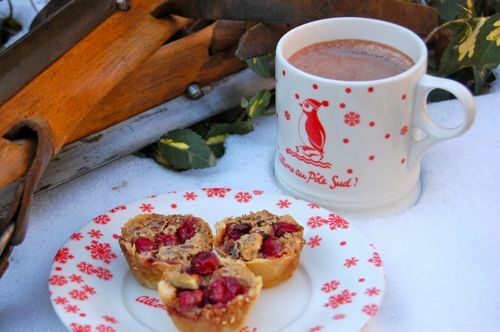 This entry was posted in Sauces, side dish and tagged Christmas recipes, cranberry recipes, cranberry sauce recipes, Fall Food, fall recipes, Thanksgiving recipes on May 24, 2014 by entertainingbythebay.